Photocopiers do a lot more than just photocopy these days. They can instantly convert a sheet of paper into a ready to use office document- such as an excel spreadsheet or a Word document. They can take a document and with one touch of a button, share this with your whole team, or save this to your online backup service. If you get hundreds of faxes, these can be received and saved dactyl to the hard drive of your multifunction copier, to be printed out later, or accessed at any time! If you need a document automatically scanned, searched, and then saved into a folder with all other similar documents, then we can help! These are the services we provide and setup every day! With Ricoh’s wide range of colour multifunction devices, office printing offers endless opportunities to add vibrancy to your printing. 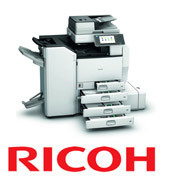 Extend their functionality with Ricoh’s embedded and customisable solutions. 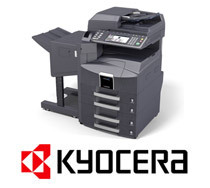 The Kyocera TASKalfa range redefines Colour Multifunction Systems with a bold and innovative new design that delivers the unsurpassed performance, superior image quality and ultra-reliability that businesses demand. 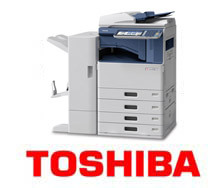 Toshiba’s new A3 e-STUDIO MFPs enable you to expand your print capabilities and enhance your document workflow. From clever finishing options to total document security – they leave nothing to be desired.